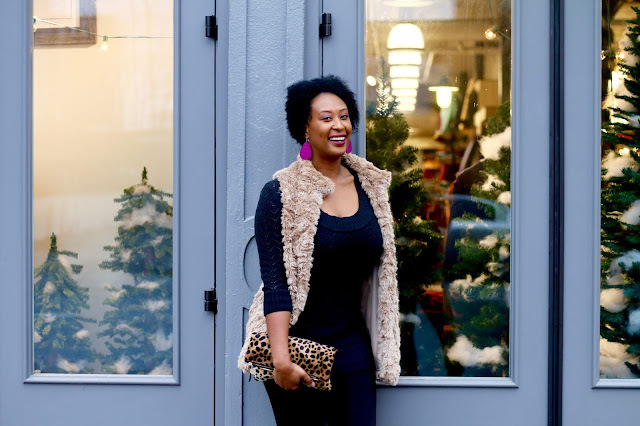 Baby it's cold outside, no it's really cold outside!! With all the controversy going on with this song I probably should have named this post something else, but.....Nope! :) It's like freezing and feeling like winter or at least the holidays. When there are cooler temperatures, what do you do? 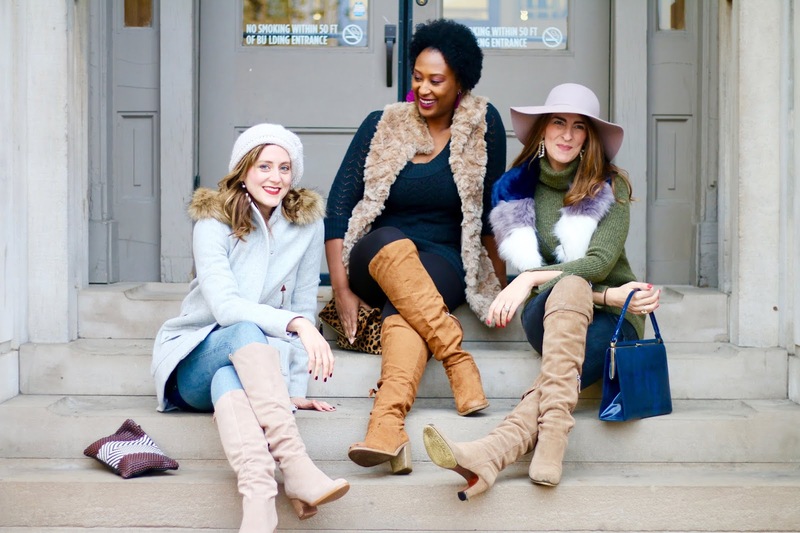 Grab you best blogger girlfriends and talk about the perfect cold weather outfit. Don't tell me that we are the only ones that do this?!? 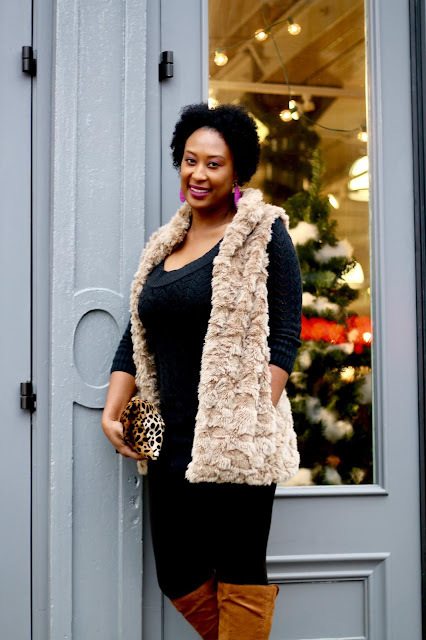 My go to for fidget temps is a faux fur vest and a sweater dress (hey that rhymes, lol!). I mean you can't go wrong with either. 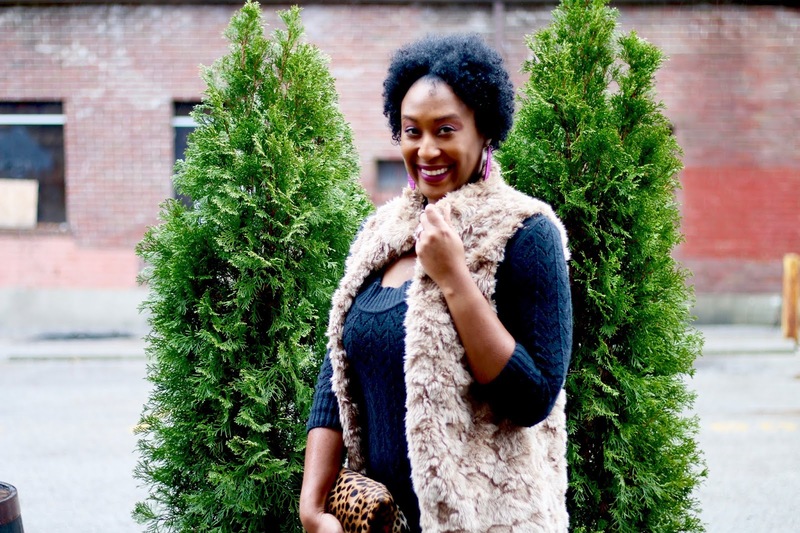 And since it is so cold make sure you pair them with leggings and over the knee boots. 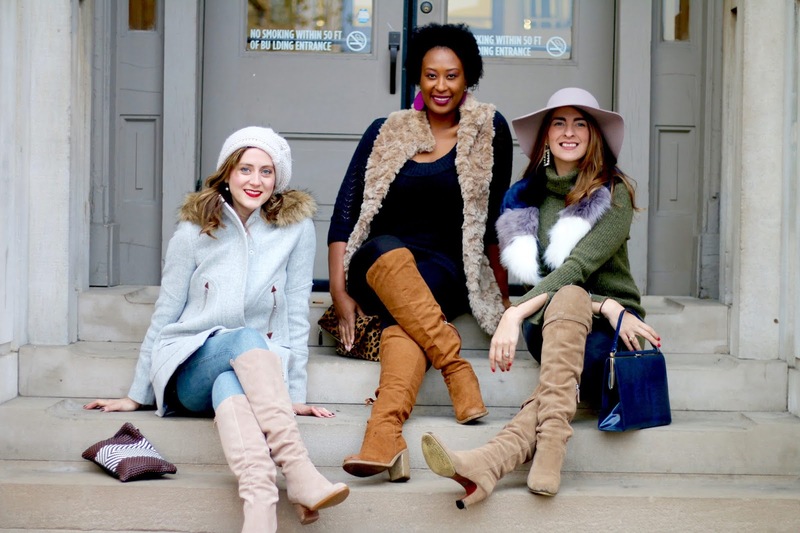 These boots are a staple in each of our closets (as you can see by the picture). 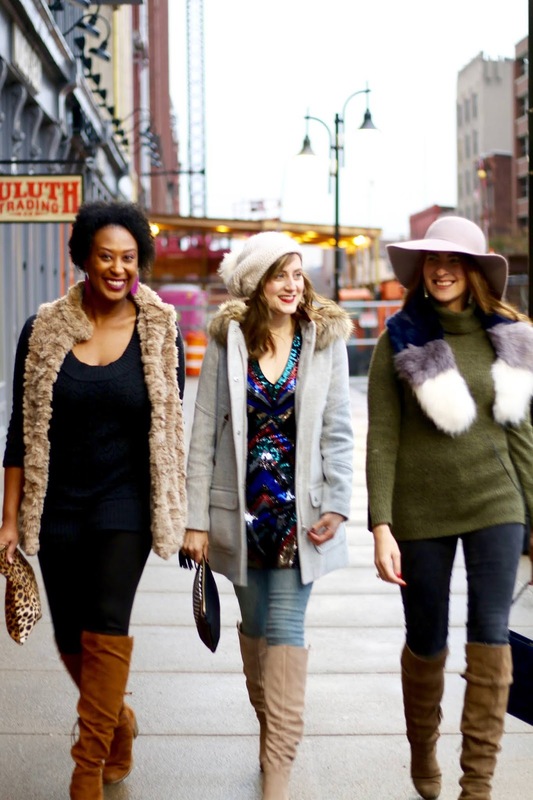 You also can't go wrong with a pair of skinny jeans, a wool coat and a hat to match. What is your staple? Shop ours below! 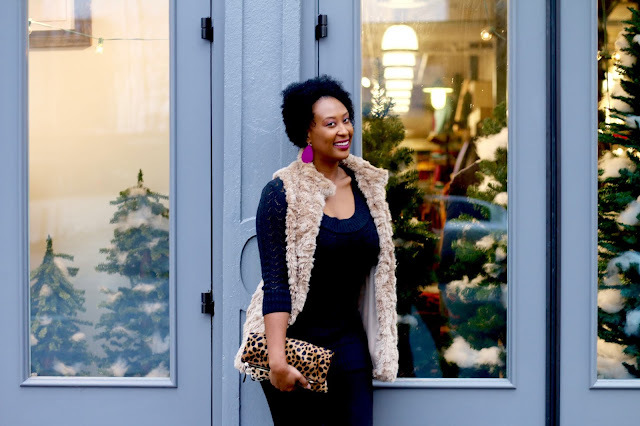 And check out these other blogger babes profiles The Glenny Girl and The Blush Influence.